Always pre-test carpet for colourfastness with diluted solution in an inconspicuous area before proceeding. Vacuum carpet and remove odour causing surface soil when possible. Natural Carpet Deodoriser is ready to use. Do not dilute with water. 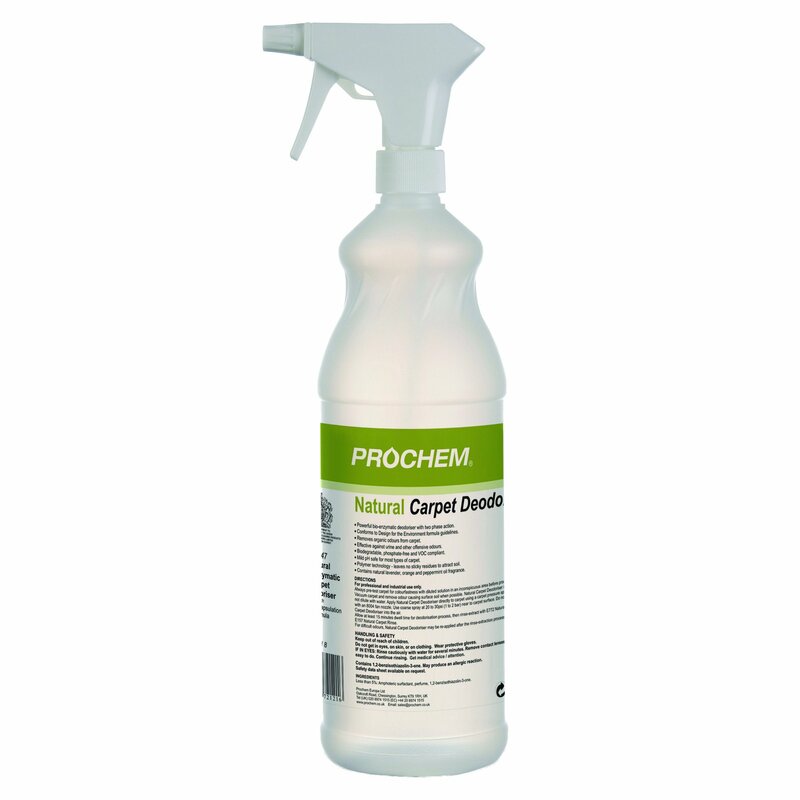 Apply Natural Carpet Deodoriser directly to carpet using a spray applicator near to carpet surface. Do not mist Natural Carpet Deodoriser into the air. Allow at least 15 minutes dwell time for deodorisation process, then rinse-extract with E772 Natural Carpet Cleaner. For difficult odours, Natural Carpet Deodoriser may be re-applied after the rinse-extraction process and left to dry.